Since 2000, Trux Accessories has offered the most unique and innovative accessories in the trucking industry. Truck drivers have been an inspiration to Trux, encouraging us to deliver original accessories with detailed design and quality. 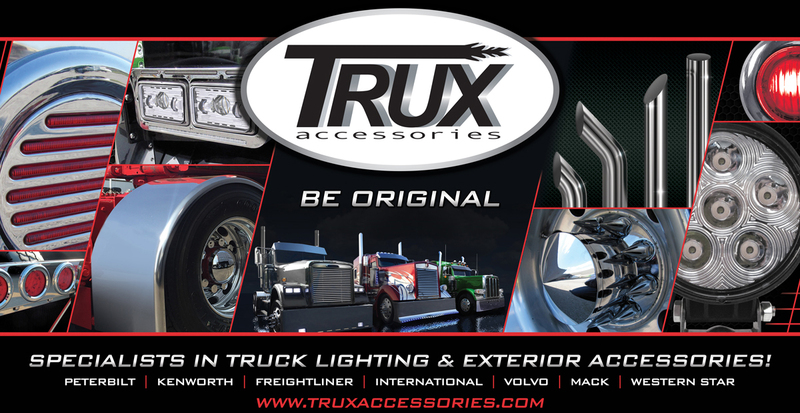 In turn, Trux Accessories has built a reputation that has made us pioneers in the industry of Chrome and LED lighting. Founded by two brothers, known for their passion for chrome, began in the family business supplying heavy duty parts to the trucking industry. It all started in 1959 when their grandfather opened a truck tire shop supplying local fleets. The tire shop turned into a large distributing center under the leadership of the co-founder's father. In turn, the brothers learned many old fashion lessons on treating the customers right and always supplying products with superb quality. Feel free to visit our vast collection of LEDs, Work lights, Headlights, Fenders, Exhausts and Stainless trims on our website or at your local Trux Dealer!